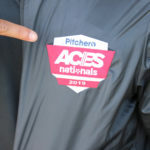 On another scorching weekend for the Pitchero ACES Nationals, it was time for the older Boys age groups to show their footballing magic. First up were the U11s and after the group stages, Sunderland, Newcastle and Wealdstone all progressed. 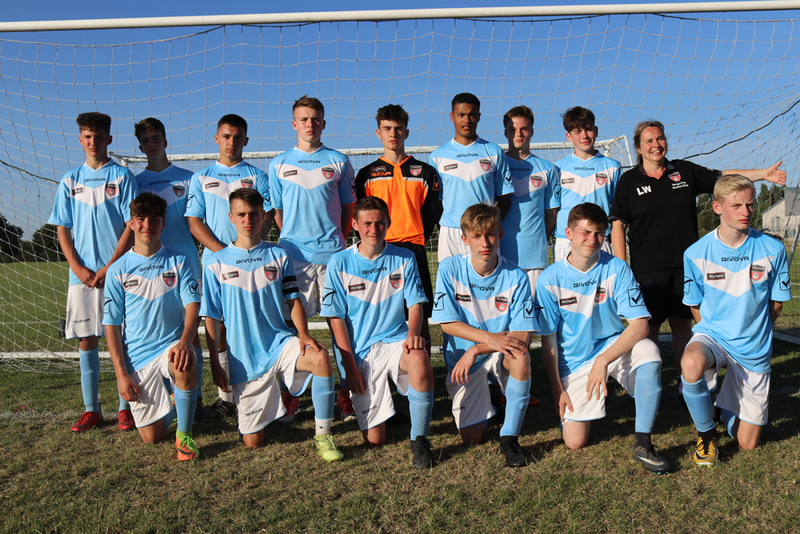 Joining them were Coventry who edged past Northampton after a tense penalty shootout that was eventually won 8-7! Coventry had another penalty showdown in the semis but lost out 4-3 to Sunderland who were joined in the final by Newcastle. In this North-East derby, it was Sunderland who became U11 national Champions with a 2-1 victory. The U15 category was no less dramatic with 36 sides battling it out for glory as the mercury climbed. There was no 6-1 scoreline to match England’s efforts against Panama though Chichester beat Cirencester 6-5 on penalties in the last 16. After tense quarter-finals, two of which went to penalties (won by Manchester and Marlow), the semi-final lineup saw Portsmouth beat Leeds 2-0 and Marlow defeat Manchester 2-1 on penalties. Marlow kept their composure in the final to win (for the third match running) from the penalty spot to lift the trophy after defeating Portsmouth 3-2. There were bumper crowds on both days and even the occasional famous face with World Cup-winning England rugby captain Martin Johnson attending to support his son. 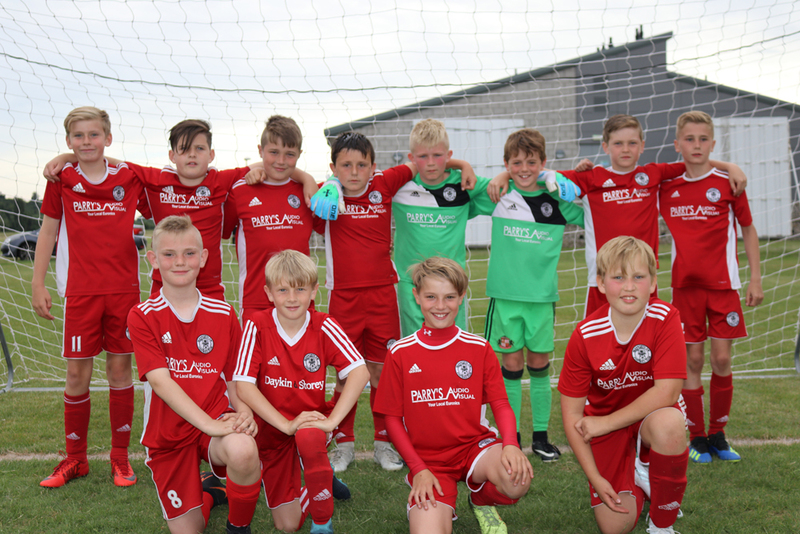 Sunday began with U12 Boys powering through their group games and as usual, teams were from all over the country – Essex to Hull and Cornwall to Middlesbrough. Leicester, Nottingham, Eastbourne and Northampton made the semis with Eastbourne squeezing past Nottingham 1-0 and Northampton overcoming Leicester 3-1 on penalties. The final saw Eastbourne crowned U212 Boys Champions by getting past Northampton 2-0. The last age group was the U16 Boys and Marlow, Dunstable, Cambridge and Norwich made it through to the semi-finals. We had a semi-final penalty drama after normal time ended 0-0 between Dunstable and Norwich. 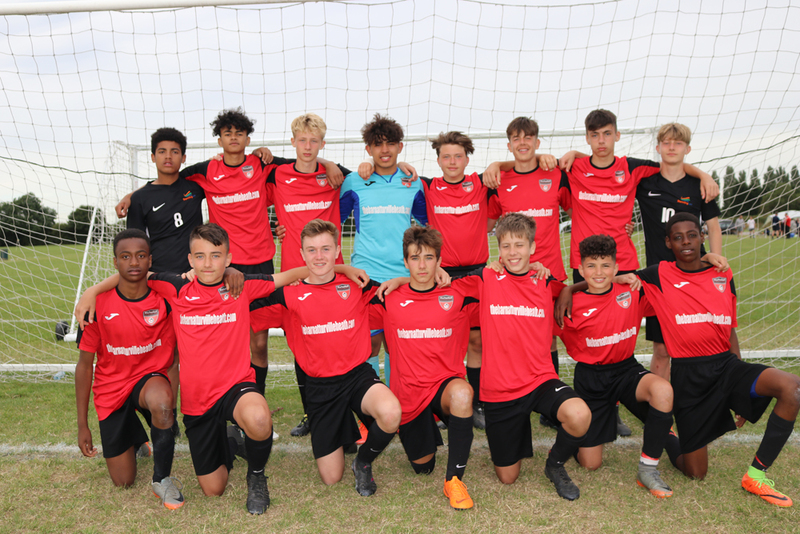 It was Marlow (iPro Juniors) and Dunstable (AFC Dunstable) who made the final with Marlow (above) the ultimate winners 2-0.
iPro from Marlow are the first club from the boys section to hold two titles in the same year – U15 and U16 champions. BBC Breakfast came along on Sunday to film some of the football action and who knows, we’ve maybe seen a future international at this year’s tournament. It’s a measure of the competition that national TV cameras were there and congratulations to all of the teams who took part for this second part of our three-weekend spectacular. It was hot work and all of the squads acquitted themselves very well and did themselves proud. The third and final weekend is coming up and it’s over to the girls!